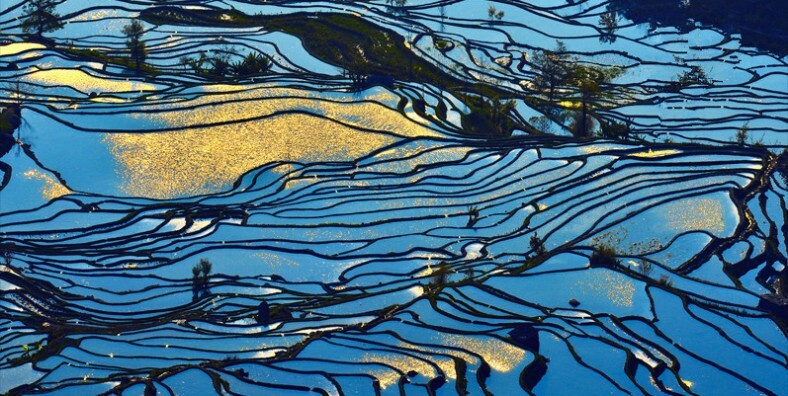 Yuanyang County, located in Honghe Prefecture in southeastern Yunnan province, is well known for its spectacular rice-paddy terracing which is included on the 45th World Heritage Site in China. During this tour, we will head to explore Jianshui county and then move on to Yuanyang Terrace Fields for a visit. Discover the ancient architectures in Tuanshan Village and Jianshui Old Town. At 08:30am, meet your tour guide & driver at Longteng Hotel. Then head to Jianshui and stop to visit Xingmeng Mongolian Village on the way, the.biggest Mongolian village in Yunnan. Upon Jianshui arrival, pay a visit to Zhu Family Garden and Jianshui Confucius Temple. After that, check in the hotel and have a short break. Later, stroll around Jianshui Old Town. Breakfast at hotel and then drive to visit Double Dragon Bridge, Tuanshan Village and Zhang Family Garden. After that, continue the driving to Yuanyang Hani Rice Terraces and check in the hotel upon arrival. Head to visit the mushroom-shaped house in Azheke Village. In the late afternoon, enjoy the sunset view of Laohuzui Terrace Fields in Panzhihua Town. Transfer back to the hotel. Get up early and enjoy the sunrise view of Duoyishu Rice Terrace Fields. Then have breakfast at hotel and drive to visit Shengcun Market and Bada Terrace Fields. Visit Qingkou Village and Qingkou Hani Rice Terraces before leaving for Kunming. After lunch, drive 6 hours back to Kunming. Service ends.